A collection of unique fairy houses that are absolutely adorable. Great for so many designs, including scrapbooks, scenes, and more. The actual images have no drop shadows. 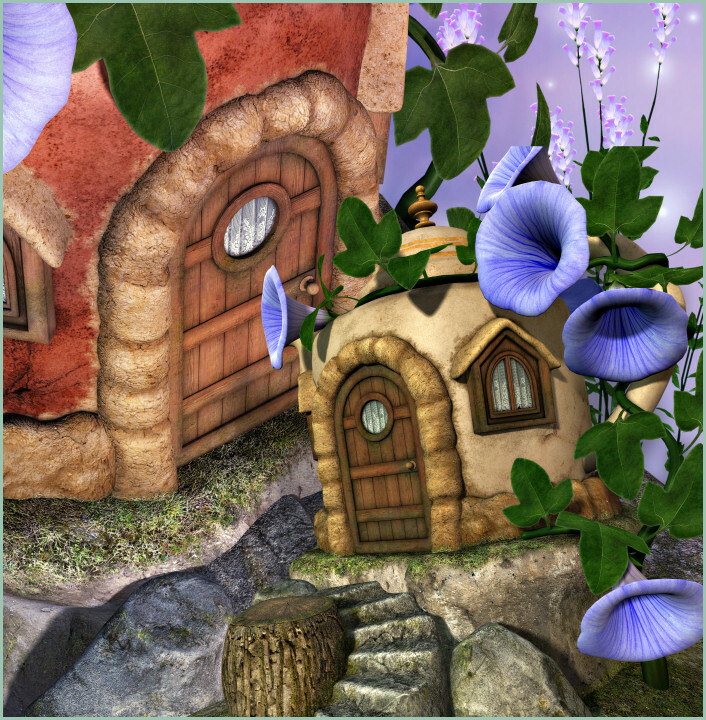 You can easily make your own unforgettable fairy scene with these houses. 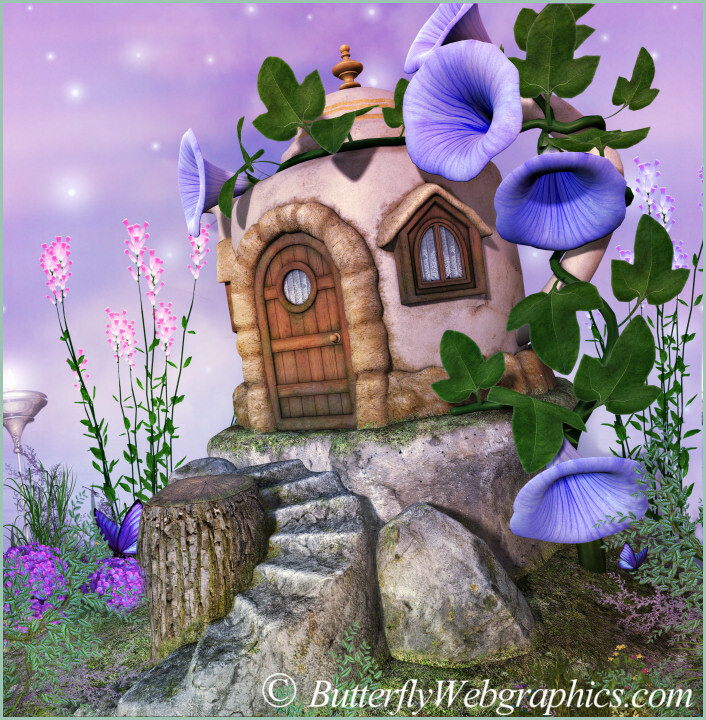 Kick back and have a nice spot of tea–in a cozy fairy teapot house. 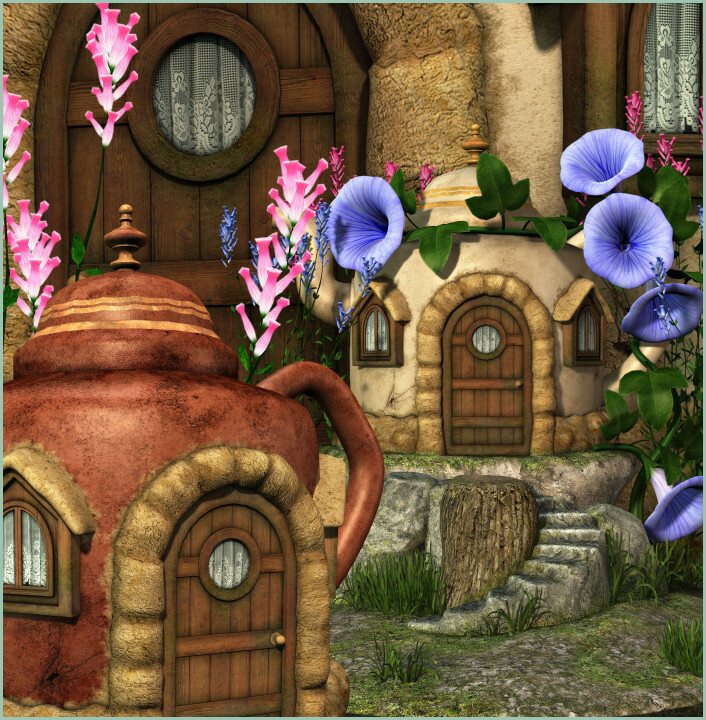 These Fairy Teapot House Graphics are the homes that every fairy dreams of and will be the perfect addition for your fantasy designs. 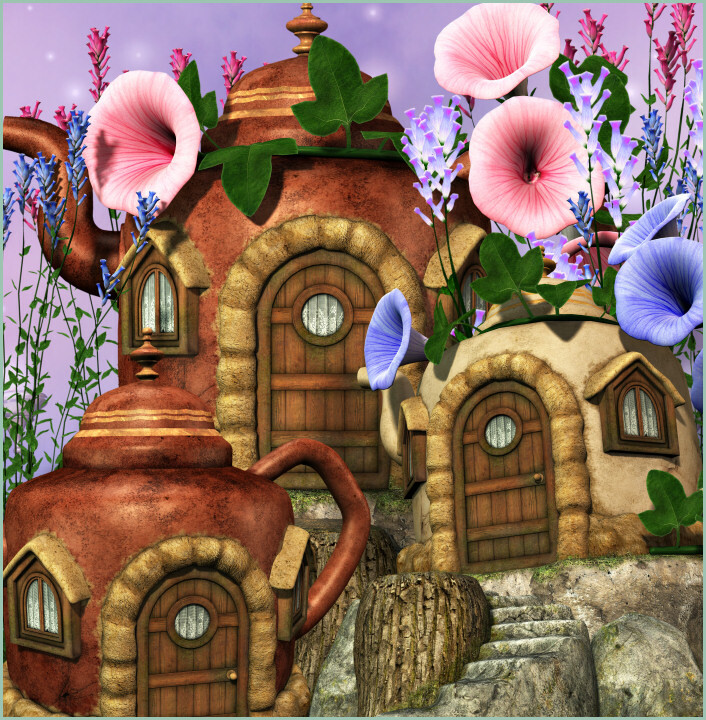 Literally blooming with morning glories, these houses, in reddish brown and beige stone, are full of fae charm and are as soothing as a nice cup of tea on a lazy afternoon. I’m including two backgrounds, one of which is shown in the first promo image. It’s large, 3334 X 3402 pixels. The size of these images varies, but they are approximately 3200 X 3400 pixels. All are 300 DPI, making them great for print projects. Members can use the tubes for personal and most commercial projects, including web design, template design, graphic design, t-shirt design, candy wrappers, scrapbooking, print transfers, DIY crafts, Zazzle projects, Cafe Express items, card making, embroidery designs, fabric blocks, address labels, business cards, newsletters, stationery, invitations, banners, crafts you print, paper projects, digital stamps, notelets, stickers, notecards, signature tags, and more. Please read my terms to learn more. This package is five zip files, which are sbout 50-100 MB each. WOW!!!!!!!!!! Awesome,Thanks so very much I love your work alot.